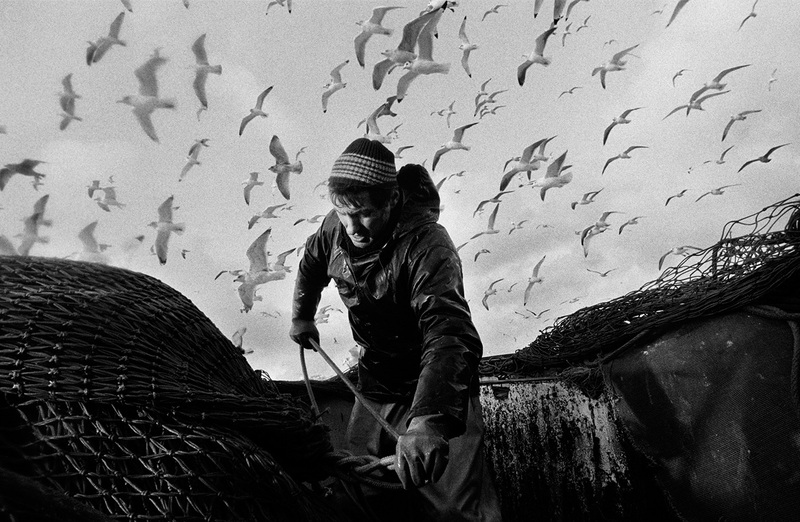 An exhibition of black and white images shot aboard the seine net fishing boats, Mairead and Argosy, in the North Sea in the 1990’s. These images, by Scottish documentary photographer Jeremy Sutton-Hibbert, capture the reality of the life at sea for the fishermen of Scotland’s North East fishing communities - the cramped conditions, the monotony, and the grueling work in harsh conditions. Bill Smith aboard the seine netter 'Argosy, on the North Sea, Scotland, 1995. © Jeremy Sutton-Hibbert 1995. West Beach Caravan Park, Hopeman, IV30 5RU.